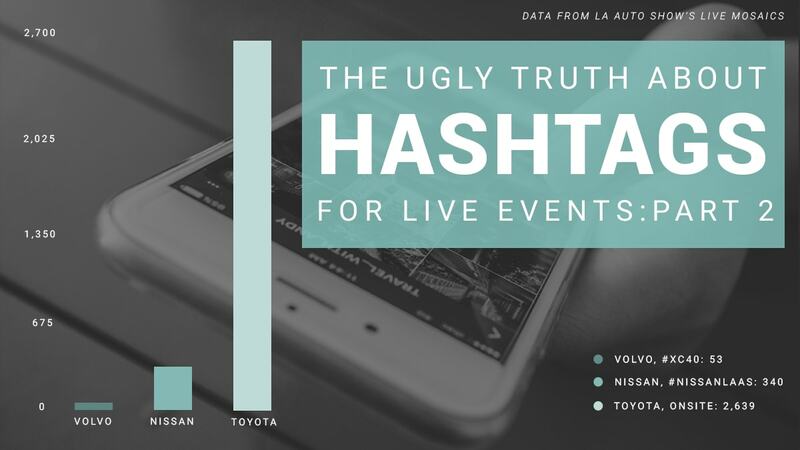 The Ugly Truth about Hashtags was evident at The LA Auto Show, where 3 event mosaics took place. In this post we will look at the results of onsite photo submissions and hashtag photos submissions for the 3 event mosaics that were there on display. 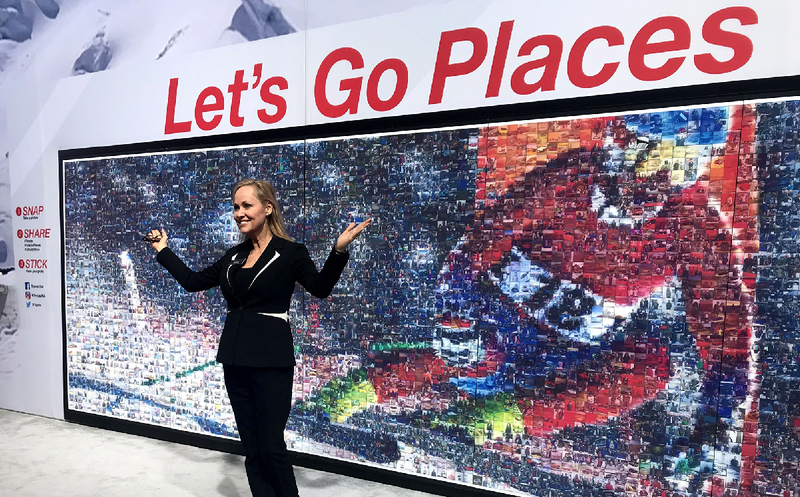 Our team joined Toyota to create an 18’x6′ mosaic using photos taken onsite throughout the event. A competitor provided activations for Nissan and Volvo and used hashtag photos to create their mosaics. We are going to take a look at all three activations to see how each stacked up from the same event! 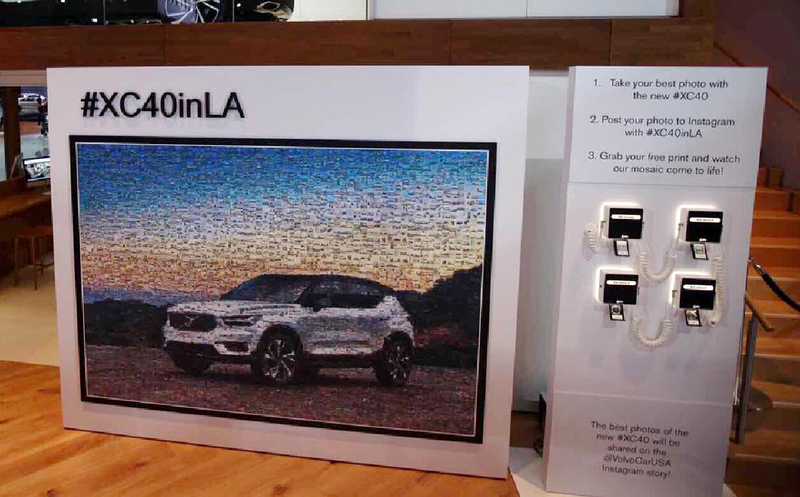 Volvo used #XC40 to gather photos for their mosaic. 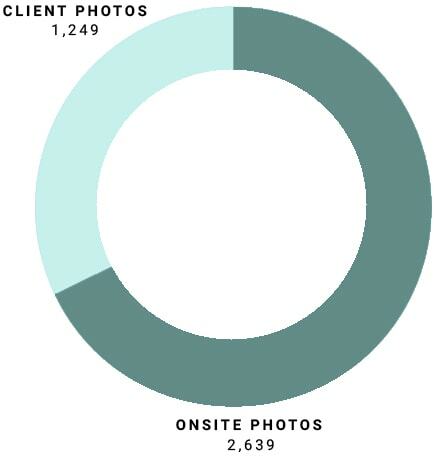 Unfortunately they only received 53 photos, 11 of which came from vendor accounts. It’s likely that the photos needed to be duplicated multiple times in order to complete the mural. 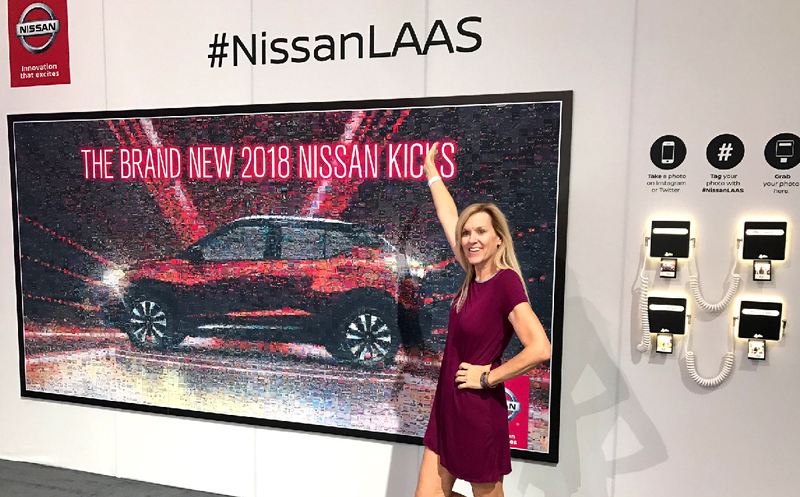 Nissan’s vendor used photos from multiple hashtags and vendor accounts to increase the number of photos in their mosaic. 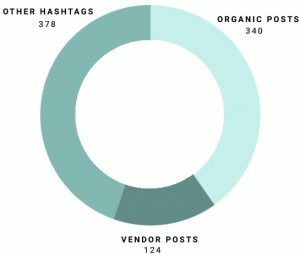 The actual event hashtag only pulled in 40% of the photos reported. Picture Mosaics created Toyota’s Live Print Mosaic using photos that were taken onsite throughout the event. On Day 2 alone we took over 500 photos! By the end of the event we took a total 2,639 photos! The client also provided a collection of photos in advance to be included in the mosaic that made up 32% of the mosaic. Every guest who had their photo taken, received an email containing their photo and the mosaic to share on Facebook and Twitter. 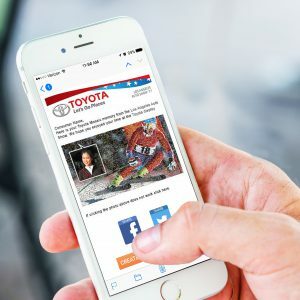 As a result of the email share option with onsite photos, the estimated total social reach for Toyota’s mosaic is 44,000 for Facebook and Twitter combined. 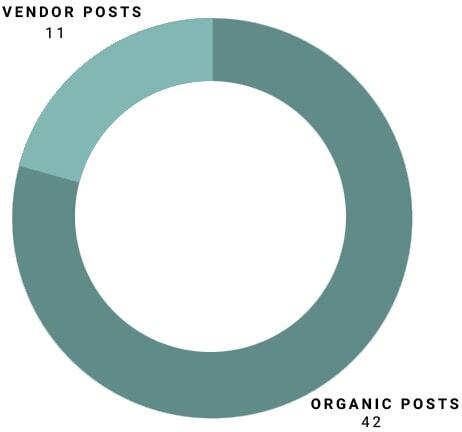 There were 1,400 users who visited the mosaic share page from 61 Facebook shares. 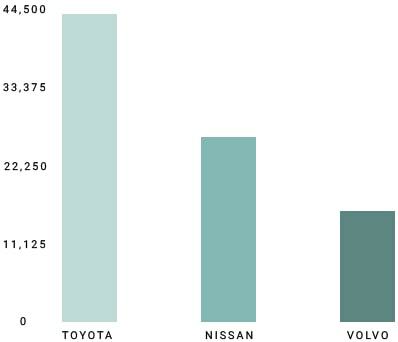 This casts a large shadow over the impressions made by #NissanLAAS and #XC40. The same guests at the same event with three different activations provides clear proof that onsite photo submissions is the more successful way to completing a Live Print Mosaic instead of hashtags.